The Snow Bear, The Jack In-The-Box, and Kebeg. Cecil, Laura, and Emma Chichester-Clark. 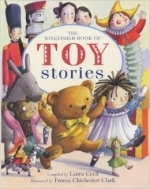 The Kingfisher Book of Toy Stories. London: Kingfisher, 2001. Includes 'The Jack-In-The-Box' by Ruth Ainsworth. 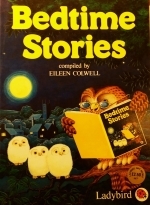 The Lovesome Book for Little Folk. London: Epworth Press, 1953. Includes 'Two Grey Kittens' by Ruth Ainsworth. 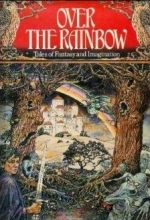 Over the Rainbow: Tales of Fantasy and Imagination. London: Cathay, 1984. 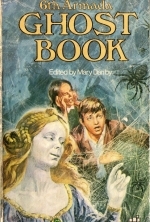 Includes 'The White-Haired Children' by Ruth Ainsworth. Hill, Susan, and Angela Barrett. 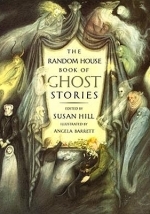 The Random House Book of Ghost Stories. New York: Random House, 1991. Includes 'Through the Door' by Ruth Ainsworth. Crebbin, June. 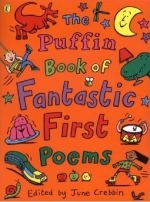 The Puffin Book of Fantastic First Poems. 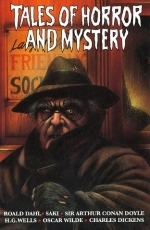 London: Penguin, 2000. Includes 'Acorn Bill' by Ruth Ainsworth. Lewis, Naomi, and Angela Barrett. 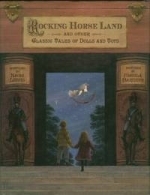 Rocking Horse Land and Other Classic Tales of Dolls and Toys. London: Walker, 2000. Includes 'Rag Bag' by Ruth Ainsworth. Thomson, Pat, and Paddy Mounter. 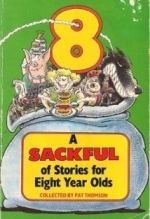 A Sackful of Stories for Eight Year Olds. Corgi, 1992. Includes 'The Flood' by Ruth Ainsworth. Bennett, Jill. 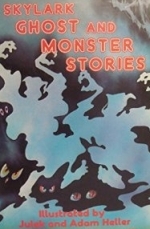 Skylark Ghost and Monster Stories. London: Book Club Associates, 1980. Includes 'Four Plus One' by Ruth Ainsworth. Blishen, Edward, Nancy Blishen, and Polly Noakes. 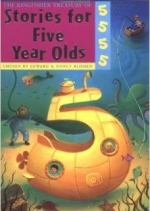 The Kingfisher Treasury of Stories for Five Year Olds. London: Kingfisher, 1989. Includes 'The Mermaid's Crown' by Ruth Ainsworth. Tales of Horror and Mystery. London: Dean, 1993. Includes 'Through the Door' by Ruth Ainsworth. Bradman, Tony, and Tony Ross. 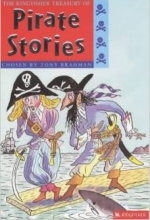 The Kingfisher Treasury of Pirate Stories. Boston, MA: Kingfishers, 1999. Includes 'The Pirate Ship' by Ruth Ainswoth. Danby, Mary, and Peter Archer. The Sixth Armada Ghost Book. London: Armada, 1982. Includes 'Mirror, Mirror on the Wall' by Ruth Ainsworth. Lewis, Naomi, and Harold Jones. 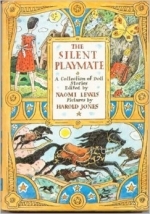 The Silent Playmate: A Collection of Doll Stories. New York: Macmillan, 1981. Includes 'Rag Bag' by Ruth Ainsworth. 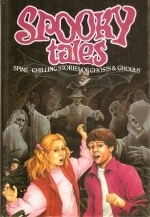 Spooky Tales: Spine-chilling Stories of Ghosts and Ghouls. London: Octopus, 1984. Includes 'Through the Door' by Ruth Ainsworth. Waters, Fiona, and John Lawrence. The Kingfisher Treasury of Five-Minute Stories. Boston, MA: Kingfisher, 2004. 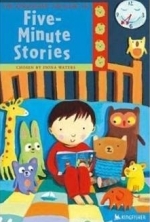 Includes 'The Bear Who Liked Hugging People' by Ruth Ainsworth. Colwell, Eileen. Bedtime Stories. Loughborough: Ladybird, 1982. 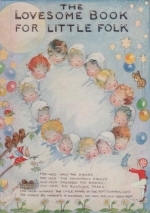 Includes 'Hob Nob' and 'The Little Wooden Soldier' by Ruth Ainsworth. 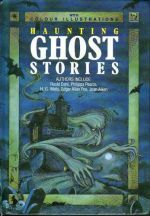 Haunting Ghost Stories. Ghost Stories. London: Octopus, 1980. Includes "Through the Door" by Ruth Ainsworth.